IMPECCABLY MAINTAINED, ONE OWNER HOME IN THE SOUGHT NOTTINGHAM COMMUNITY OFFERING 2 COMMUNITY POOLS, PARK AREAS & DIRECT ACCESS TO MILES OF TRAILS. CHARMING FRONT PORCH, WONDERFUL LOT WITH FABULOUS LANDSCAPING, LARGE DECK AND CONCRETE PATIO/PLAY COURT. 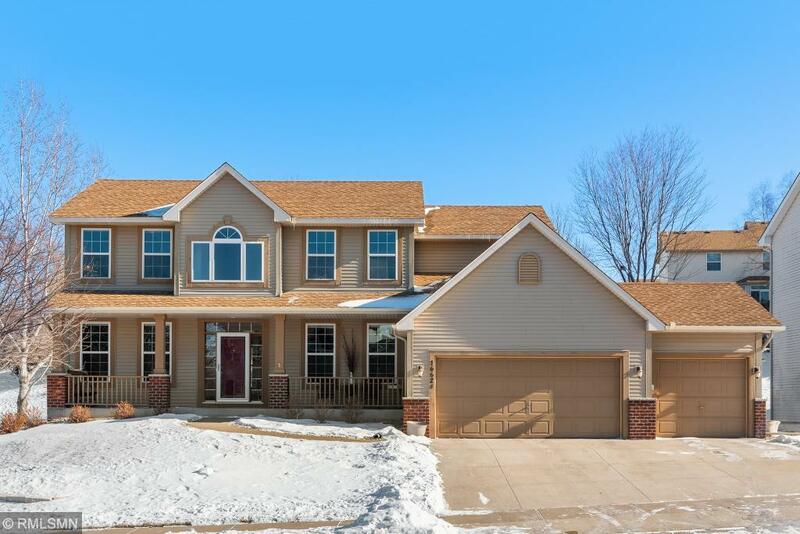 OPEN FLOOR PLAN, KITCHEN WITH STAINLESS STEEL APPLIANCES, GRANITE COUNTERS, MAPLE CABINETS, 4 BEDS ON ONE LEVEL, RECENTLY REMODELED MASTER BATH, LARGE FINISHED BASEMENT W/5TH BEDROOM AND SPACIOUS AMUSEMENT RM W/ UNLIMITED POSSIBILITIES! Directions - NOTTINGHAM PARKWAY TO 78TH AVE., TURN INTO THE NOTTINGHAM DEVELOPMENT, GO RIGHT ON 77TH, HOUSE IS ON THE LEFT.